Based in Worcester, the Cheese Cellar Dairy is headed up by cheesemaker George Bramham. Their three goats cheeses; Blanche, Billie & Ashlynn are made with raw milk from Treworgan Farm near Ross-on-Wye and each has it’s own distinct personality. 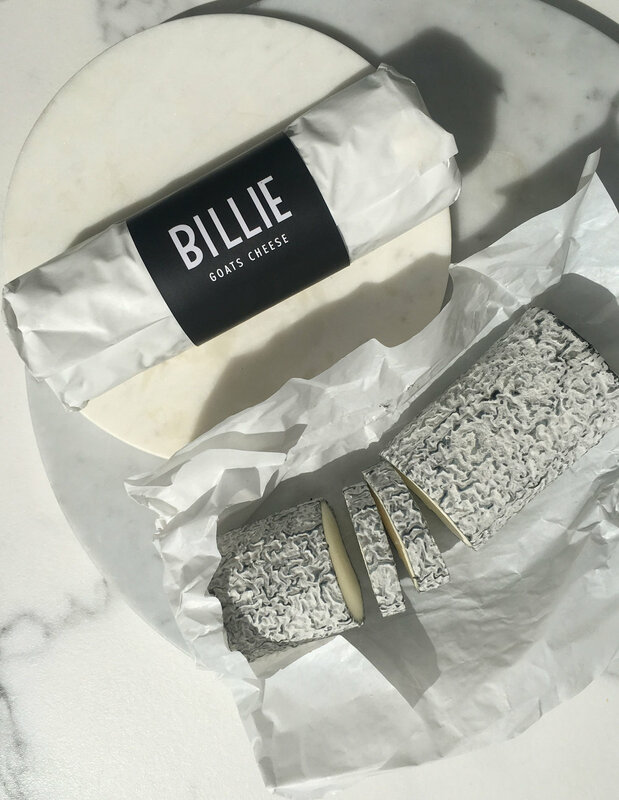 We created the individual packaging for the cheeses with these personalities in mind - glamorous and light Blanche, dark and brooding Billie, and delicate and contrasting Ashlynn.